The Pembrokeshire Coast National Park, one of Britain’s breathing spaces, takes in about a third of the county including the entire coastal strip, the upper reaches of the Daugleddau (two swords) and the Preselis. It’s the only National Park that is almost entirely coastal. 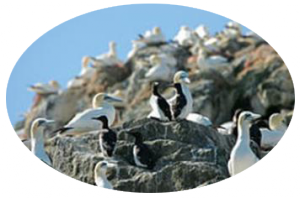 The National Park run an extensive programme of activities and events for both adults and children: rockpool safaris, crab catching, bat walks and even time travel! They’re all listed in the Coast to Coast newspaper: pick one up when you get here. 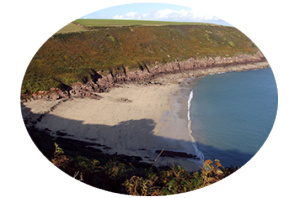 The National Trust owns and protects many of the most important sections of the coast especially around Barafundle beach, Marloes, St Davids, Porthgain & Dinas. The trust also runs the superb Colby Woodland Gardens at Amroth and the Tudor Merchant’s House near the harbour in Tenby. No other county in Britain has more blue flag beaches or seaside awards than pembrokeshire. With over 50 beaches to choose from, there’s going to be one that’s perfect for you, whether you want surfing, kayaking of kite surface, or just somewhere peaceful to relax, sunbathe and build sandcastles. 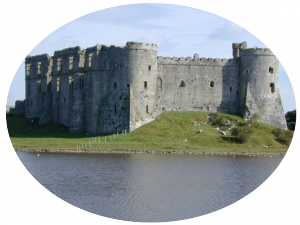 There are 51 forts and castles in Pembrokeshire including enormous stone fortresses like Pembroke castle, Manorbier castle and Carew castle. There are medieval walled towns of Tenby and Pembroke and fortified Bishops Palaces at St Davids and Lamphey.